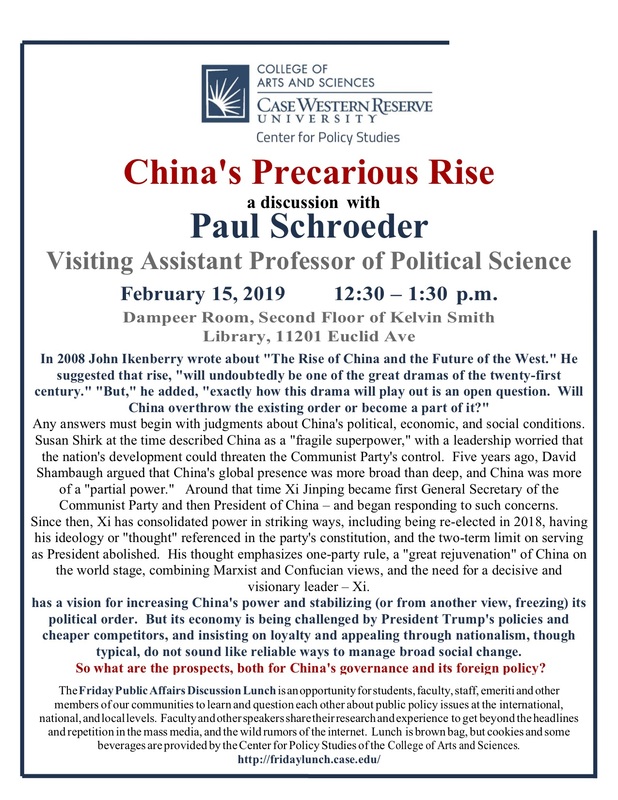 Paul Schroeder, Visiting Assistant Professor in the Political Science Department, will be speaking this Friday, February 15th, in the Dampeer Room in Kelvin Smith Library as part of the CWRU’s Center for Policy Studies‘ Friday Lunch Discussions. 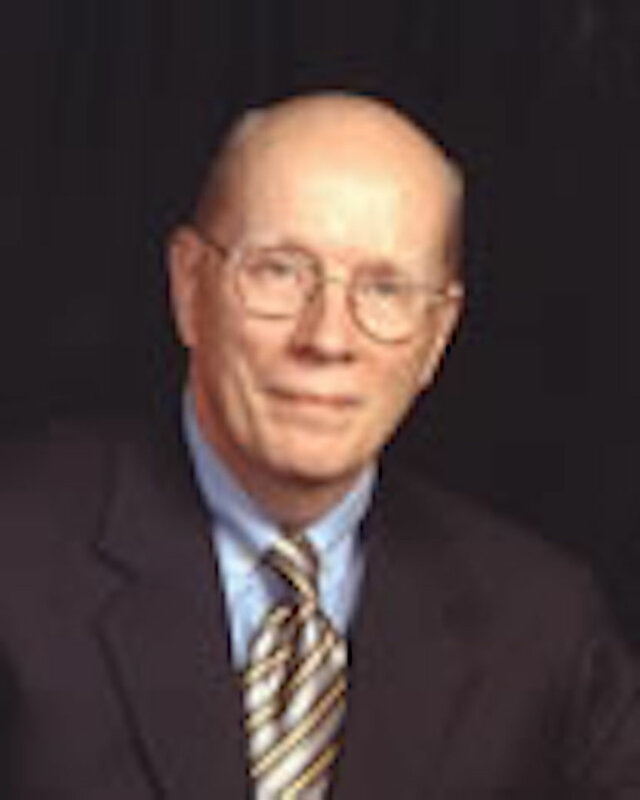 His talk is titled “China’s Precarious Rise” and will discuss the prospects for both China’s governance and foreign policy. The event is free to attend. Dessert and beverages will be provided, but please bring your own lunch. Visit fridaylunch.case.edu for the 2019 Spring Semester Friday Public Affairs Lunch Discussions schedule.